Is chz' rath another chz' ism? That sounds nasty. My first question is anybody planning to attend a Sabres game in California next year? I plan on taking the family to all three since we will finally be back in the states, hopefully for good. Are you coming up on your 20? No but it sounds like you're coming home so I'm pumped for you. Yeah. I hit 17 this summer and reenlisted last summer (at 16) for the last four. Congratulations! Hopefully it’s smooth sailing the last few years for you. I have a lot of respect for the guys who retire. Thank you very much. The wife also wants to go to a Vegas game as she jumped on that bandwagon. I plan to make it back to Buffalo for a few games. Maybe even a meetup. Are you going to be at Pendleton? Yes I am. Had a chance to go to Hawaii but I figure being CONUS would help with transition. Cool, maybe when I visit my Dad we could grab a coffee. PS He is helping guys there transition out of the Marines.... He is on Mira Costa Community College Board and a former Navy EOD Frogman.. Cool man. I’ll keep that in mind as the clock is ticking. Always open to coffee with a fellow Sabres fan. You know it's summer (?) when the fantastic (really 👍 @SABRES 0311) conversation going on has nothing to do with the NHL. 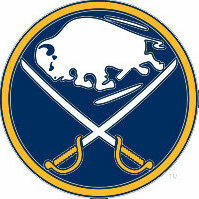 Well everyday is one closer to Sabres hockey I suppose. And there’s baseball. Let’s not forget the playoffs seem exciting this year and we will have draft day speculations to look forward to. Your conversation going on now is far more interesting than all that other stuff you listed above. There are lots and lots of Sabres fan transplants in SoCal; it'll be easy to find us. The closest games to Pendleton will be Anaheim (Honda Center) and Los Angeles (Staples Center). The Sabres fans usually pregame at JT Schmid's across the street from the Honda Center and in/around an area known as LA Live around Staples Center. Note that all three west coast games (and sometimes PHX) are usually played in the same compacted road trip for the Sabres, so it's sometimes tricky to go catch them all. LA and Anaheim are almost always played as a back-to-back with SJ played two or three days away from those games. Depending on where you're living, don't discount taking the fam to an SD Gulls or Ontario Reign game. If you or the wife like wine, there's no excuse not to do a weekend around Temecula. If you're a science nerd, beyond all the museums and zoos in town in LA and SD, go check out the Palomar Observatory. Fishing tours leave oceanside harbor and you have to go out to Catalina Island... Also my favorite morning coffee place is near Swami's "the Java Hut" in Encinitas, then watch the surfers on a lazy afternoon. Plus seeing a few of your posts... pretty good gun show at DelMar race track every year. Kings will not. They are old, slow, cap stressed and lacking in prospects. If he makes them an instant success it'd be a miracle. It could be. Personally, I will lose hope if we do not come up big in free agency in some way. The slow build is a plan, but it will be sloooooowwww by just drafting.